Brown Rudnick Continues to Bolster its Cross-Border M&A Capabilities With the Appointment of London Private Equity Partner, Philip Watkins. London, 3 September 2018: International law firm Brown Rudnick LLP is pleased to announce the expansion of its International Corporate practice with the appointment of Philip Watkins as a Partner in the London Office. Philip joins Brown Rudnick with Victoria Rodley, Counsel, from Katten Muchin Rosenman UK LLP. Philip is a senior practitioner in corporate and commercial law, with particular emphasis on cross-border mergers and acquisitions, sophisticated private equity transactions, takeovers, strategic investments, joint ventures, restructurings, re-financings, buyouts and exit strategies. 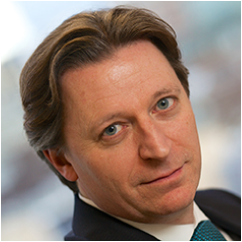 Over his extensive career, Philip has built a reputation as a trusted M&A counsel to corporations and private equity investors both in the United Kingdom and internationally across a wide range of industries. His experience spans the energy, technology, media and telecommunications, transportation, retail, hospitality, financial services and education sectors. Philip’s long-term clients include leading private equity house Inflexion Capital, the Middle East’s largest integrated media group Rotana Group, and Galileo Global Education, a leading international provider of higher education. Philip is a regular recipient of The Legal 500 UK’s excellence awards. Working alongside Philip, Victoria Rodley brings over 10 years of corporate experience. Victoria represents clients in mergers and acquisitions, strategic investments, joint ventures, group reorganisations and private equity transactions. She has a range of experience advising companies and investors in the United Kingdom and internationally. For close to 20 years Philip has developed an active pro bono practice, and has considerable experience advising several high-profile UK charities and non-profit organizations, including The Roundhouse Trust, The Design Museum, and The Creative Industries Federation. For this work, Philip has been recognized by The American Lawyer. Before embarking upon his legal career, Philip was a cultural adviser to the Japanese government. He is a founder member of the Practitioners' Advisory Board of the Masters of Corporate Law at the University of Cambridge. Philip holds BA and MA degrees from Oxford and completed his LPC at The College of Law, London. He is admitted to practice in England and Wales.